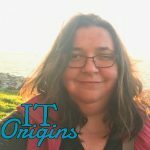 IT Origins is an interview series looking at how IT professionals got their start working in their field and how it’s changed since then. Ted Dunning is the Chief Application Architect at MapR and a board member of the Apache Software Foundation. This week on IT Origins, we had a conversation with Ted Dunning, Apache Software Foundation board member, and the Chief Application Architect at MapR. We discussed Ted’s introduction to IT, his early involvement with the open source software community, and how AI advances quickly go from aspirational to blasé. We were also fortunate to have Ted’s colleague and co-author Ellen Friedman join in on the second half of the interview. Both were able to give some great career advice about how to stay relevant in rapidly evolving fields.